Considered the two fathers of quantum mechanics, Heisenberg and Schrödinger have many things in common. Like the German Werner Heisenberg, Erwin Schrödinger (1887-1961) of Austria is better known for his impact on popular culture than for his real contribution to science, for which he, like Heisenberg, would receive a Nobel Prize in Physics. If Heisenberg is famous for his uncertainty principle, Schrödinger is remembered for his cat. In addition, both men carried out very important work in various branches of physics and both flirted with the philosophical interpretations of quantum theory. However, Schrödinger is alone in one thing, perhaps the least known part of his legacy – he was the physicist who inspired a revolution in biology, anticipating important concepts such as the existence of a ‘genetic code’ ten years before the great discovery of Watson and Crick on the structure of DNA. In 1926, he developed an alternative formulation to Heisenberg’s original quantum theory (1926), which is summarized in Schrödinger’s wave equation. With it he provided a very practical way to describe the behaviour of quantum systems such as atoms and molecules, and for this work he received the Nobel in 1933, a year after Heisenberg. It was there that their parallel paths began to separate. 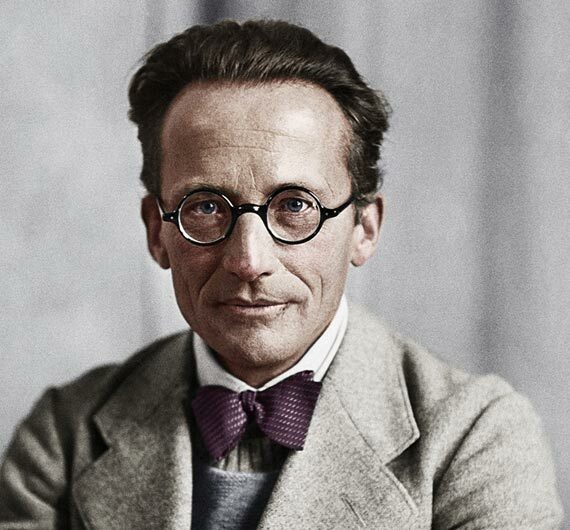 Erwin Schrödinger, opposed to the anti-Semitism of the Nazis, had just left his post in Germany. Oxford University received him at first with open arms, but he did not fit in well there, in part because of his unconventional personal life – he lived under the same roof with his wife Annemarie and his lover Hilde March, with whom he had a daughter. With the three of them in tow, he began a grand tour of several universities in the US, Scotland and Austria. And it was at this time, in 1935, after an intense exchange of letters with Einstein, that he devised his famous thought experiment –Schrödinger’s cat– in which he attempted to illustrate the problem of applying quantum theory to our everyday reality by posing a situation in which the cat would be both dead and alive at the same time. Like Heisenberg’s uncertainty principle, Schrödinger’s cat gave rise to many physical and philosophical interpretations that had little to do with the author’s intentions. At the beginning of World War II, the Schrödingers and Hilde March were finally settled in Dublin, where he gave a series of lectures that changed the way of studying biology in February 1943. Schrödinger wanted to look at the phenomenon of life from the point of view of physics, focusing on the still immature fields of genetics. By then DNA was already known (since 1869), but not its structure or its role in genetic inheritance. Biologists had spent decades searching for the genetic material and Schrödinger saw it clearly – it had to be in a complex molecule, whose molecular structure kept the genetic information in a kind of code that would determine the development and functioning of every living being. Schrödinger was the first to clearly suggest the idea of ​​a genetic code and marked the path to go and find it. His intuition did provide a good hint: he thought that this molecule’s structure should be regular but non-repetitive— just like DNA. 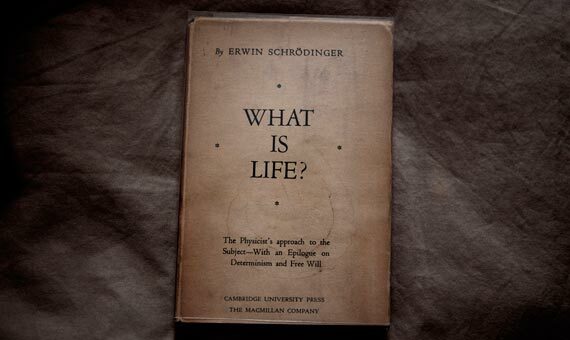 The book “What is Life?” (1944), which compiled those lectures of Schrödinger, was a great inspiration for James Watson and Francis Crick. The discoverers of the structure of DNA (1953) recognized that this book was what sparked their interest in genetics. It was on this double helix structure of Watson and Crick that the genetic revolution took shape, culminating in the 1960s when science managed to decipher the genetic code thanks to advances that were made, step by step, by scientists such as the Spaniard Severo Ochoa, the American Marshall Nirenberg or the Indian Har Gobind Khorana. What is life? Today we know that life is chemistry, that life is information. This secret of life finally began to be unravelled with the intuition of Erwin Schrödinger and the boost he gave it with his different way of looking at biology. While a new generation of scientists followed the path he had suggested, he was already on to something else. In the last years of his scientific career Schrödinger focused on developing a unified field theory, as did his fellow quantum colleague Heisenberg. Both happened to meet each other in the pursuit of the “theory of everything” that would unify gravity, electromagnetism and the nuclear forces. Both believed themselves to have succeeded, separately, and they both announced their success prematurely. Both of them ultimately failed to provide that unification, a challenge that today remains as the greatest in physics.